AUSTIN, TEXAS (11/19/2014) — CodeLathe, the leader in enterprise private cloud, today announced the immediate availability of FileCloud Service Provider Edition, a white label file sharing, and sync solution for Managed Service Providers (MSPs). 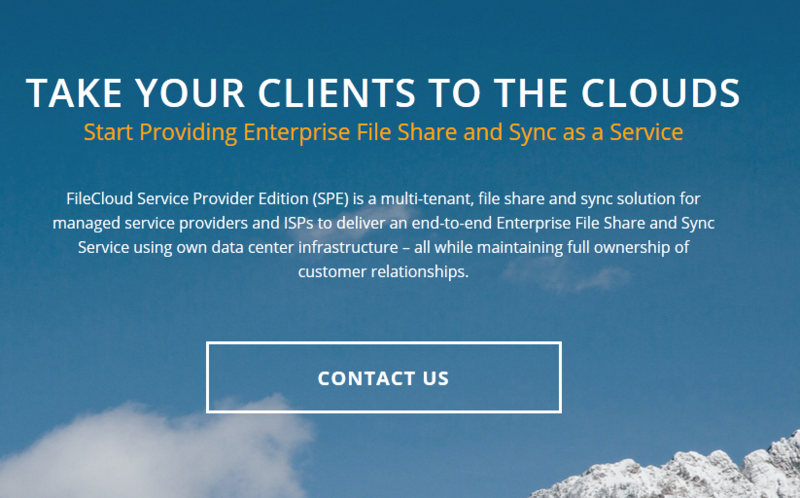 FileCloud Service Provider Edition enables MSPs to provide end-to-end file sync, file share, and mobile access solution to their small business and enterprise customers. FileCloud is self-hosted by service providers using their own data center infrastructure. Businesses now can get FileCloud from the one of the following Service Providers: Mitol.co (United Kingdom), Moresi.com (Switzerland), MTF Cloud (Switzerland), Braathe Gruppen (Norway), Computerland (Belgium), 010 Cloud Computing (Israel) and Websdepot (Canada). FileCloud Service Provider Edition comes in three flavors: Premium, Advanced and Basic. The Premium Edition gives web, desktop and mobile branding while the Advanced and Basic Edition gives desktop, and web branding respectively. FileCloud Service Provider Edition is also offered under Service Provider Licensing Agreement (SPLA) that provides a simple, pay-as-you-go, pricing. FileCloud API’s – API’s to manage tenants and users enabling 3rd party integration. FileCloud is available through 37 partners in 17 countries around the globe. For more information or to try FileCloud Service Provider Edition, please visit www.getfilecloud.com/spla.